As a child of the 1980s, I find the evolution of video games a fascinating topic. With early creations such as Pong recently celebrating its 45th anniversary and games such as Pac-Man continuing to be an immediately recognisable character in popular culture 35 years after its launch, it’s clear that the popularity of video games has endured over time. 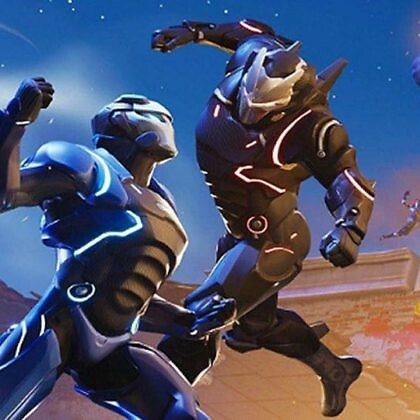 It therefore comes as no surprise that once again one game in particular is currently sweeping the world and this time around it’s Fortnite Battle Royale by EpicGames. As such, I thought it was timely to have a look at the current state of game accessibility and identify why accessible gaming is so important yet remains so elusive. Before looking specifically at accessibility, it’s important to acknowledge the sheer size and scope of the video game industry. Fortnite Battle Royale is a particularly good example of how a popular global release can lead to significant revenue for game companies. While the game is free, add-on features such as dance moves and skins have seen the game generate $USD300 million just in the month of April 2018. Incredibly, it seems that there is no end in sight to the industry continuing to generate large amounts of money; the last time a downturn occurred was the video game crash of 1983, meaning there has been about 35 years of sustained growth for the industry. To put this into context, the estimated global revenue of video games in 2016 was approximately $USD100 billion which includes approximately $AUD2.8 billion ($USD2.1 billion) being attributed to Australian sales alone. While the growth of the video games industry remains the envy of many, it is its projected growth that continues to amaze. This is due in part to the large number of devices that we use and our desire to play video games on all of them. From the more traditional video game console connected to our television through to our computer workstation, mobile phone and the emerging wearable market, it’s become clear that if we have an electronic device, we strive to figure out a way to put a game on it. As the popularity of virtual reality and augmented reality continues to filter into the mainstream, it too is becoming a gaming platform that continues to grow in popularity. Even the relatively new category of digital assistant smartspeakers in the home such as the Amazon Echo now have audio-based games available on demand. Yet it is perhaps with some irony that for people with disabilities, the classic video games I enjoyed as a child with a vision impairment -with their high contrast colour scheme, primitive sound effects, large blocky pixel graphics and predictable gameplay strategies – may have unintentionally represented a time of gameplay accessibility that has seemingly declined since the classic video game era. While there are notable exceptions where developers have worked hard to include accessibility, it is generally deemed to be an exception rather than the rule. With that in mind, let’s consider what accessibility features are included in the current worldwide smash Fortnite Battle Royale, and one of the games that previously held the title of world gaming dominance, Minecraft. For this I’ve enlisted my 10-year-old son who is a master of both along with a bit of online research. One of the first things I discovered is how difficult it is to find a simple overview of the accessibility features in these games despite their popularity. While the information is out there, it is surprisingly challenging to locate a concise summary, especially when trying to get a comparison across different platforms. This is arguably an issue in itself. However, with perseverance comes reward, and in Fortnite Battle Royale my son and I were able to track down its accessibility features which included colour correction options, some control mapping and captions for the introductory video. Minecraft was a bit easier in terms of finding information possibly due to the game having been around much longer. There also appear to be ongoing updates to its accessibility such as a recent text-to-speech option being added for in-game chat. However, reviews on Minecraft’s accessibility are mixed: While the game caters effectively for people with a hearing impairment and mobility impairment, there are limited accessibility features for other disability groups. Although the implementation of accessibility features in popular games is ad-hoc at best, there are many examples of big gaming companies trying to improve this space. In addition to a number of accessible gaming titles, the spotlight on best practice turned to Microsoft recently with its announcement of its Xbox Adaptive Controller (XAC). Developed by Microsoft in collaboration with AbleGamers, Warfighter Engaged, SpecialEffect, Craig Hospital and the Cerebral Palsy Foundation, the controller was designed to include two oversized programmable buttons, 19 3.5mm input jacks and two USB ports, allowing disabled gamers to easily connect special joysticks, switches, and any other tools they may need. While the initiative of the XAC is a great one, an accessible controller is only as good as what the software allows it to do and in this regard there’s still no guarantee that the Xbox or PC games released will be compatible with it or provide any accessibility features at all. To ensure that games are accessible, there are essentially two critical things that need to occur: firstly, people with disabilities need to have accessibility features provided in the gaming platform. Secondly, games need to be designed in a way that supports such features. To provide dependable guidance on this, it is necessary for game developers to have an internationally recognised standard. However, despite the popularity of gaming across a range of electronic devices, there has not been the same desire to develop internationally-recognised standards in this space as there has been for web content more broadly. With the third iteration of the World Wide Web Consortium (W3C) Web Content Accessibility Guidelines (WCAG) celebrating its recent 2.1 release, the lack of gaming support is becoming more notable by comparison. As such, the not-for-profit organisation AbleGamers has created a resource titledIncludification which highlights how developers can ensure that their games meet basic accessibility requirements with broad categories of mobility, hearing, vision and cognitive guidance. Structured in a similar way to WCAG with three implementation levels, the mobility-related guidance focuses on the need for alternative configurations, camera controls, and remappable keys. Additional requirements focus on the provision of customisable user interface elements, save points, adjustments to input settings and speed settings. In regards to hearing, the core focus is on the provision of closed captions and the ability to adjust the font and size of such captions, along with the removal of ambient game noise. For vision the focus is primarily on the ability to adjust the colour font, with a specific reference to the inclusion of a high contrast marker for in-game enemy tracking. There is also consideration for the provision of text-to-speech output such as compatibility with screen readers. In regards to addressing cognitive issues, AbleGamers recommends that game tutorials are clearly provided, speed adjustment settings are provided, training modes are available and there should be a clear indication of in-game enemies. In addition to the AbleGamers Includification, a second separate initiative by industry professionals has created guidelines simply known as the Game Accessibility Guidelines living document. Featuring a similar structure to the Includification guidelines there are three implementation levels with a focus on general, motor, cognitive, vision, hearing and speech requirements. While many of the points are similar to the Includification guidelines, there are some important additional recommendations such as the need to label packaging and online materials at point of sale with information on the game’s accessibility features. Given there’s two comprehensive documents that explain how to make games accessible, let’s look again at how Fortnite Battle Royale and Minecraft stack up. Both games do contain some accessibility features so at least we can see that thought has been given to the issue. Yet in both cases the games fall way short of the recommendations and there’s no easy way to determine in-store if a game is accessible or not. The problem is that despite the best intentions of Able Gamers and the merit of their guidance on accessible gaming, the Includification guidelines are not a standard, and as a result there is no specific legislative or policy framework that requires their implementation. Until an official international standard is released, it will continue to be up to the industry to decide how accessibility is implemented, and to what degree that process occurs. To achieve a genuine and ongoing solution, I’d like to join in the chorus of calls to gaming companies and standards bodies to engage with organisations such as AbleGamers to find ways to make their guidelines an enforceable standard. The XAC has demonstrated that such a collaboration is possible and what it can yield so there’s no reason this can’t take place. As a legally blind person it would be awesome if I could team up with my son in Fortnite Battle Royale but due to my vision our ability to play games together remains firmly locked in the 8-bit era. It’s a shame as it wouldn’t take much customisation to make the modern gaming experience accessible to me. The time has come for accessibility in gaming to be as comprehensive and predictable as the likelihood of a new game sweeping the world. Hopefully on that occasion I and everyone else that would like to play can join in too.